St. Elizabeth School is dedicated to helping students see God in themselves, in each other, and the world around them. St. Elizabeth School is a National Blue Ribbon School of Excellence due to the unending efforts of our faculty to ensure academic rigor and the success of all children, to the incredible generosity of our parents who are fully committed to Catholic education and to the due diligence of the students as they strive to grow intellectually and to live according to gospel values. 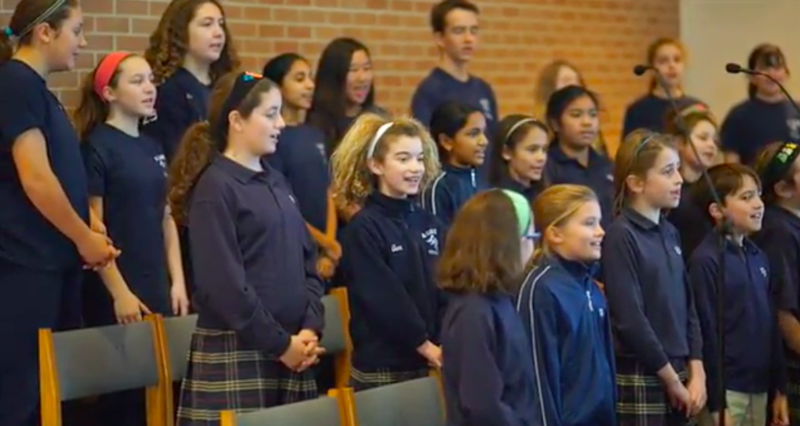 Our students firmly believe in God’s unconditional love; they are able to articulate their beliefs and values in both the spoken and written word. St. Elizabeth students learn how to think critically and find innovative solutions for curricular problems. They understand that integrity cannot be compromised and kindness to others should be the essence of life. Both graduates and students alike know that their God given talents are gifts to be shared with the wider community as we continue to celebrate being a Blue Ribbon School. 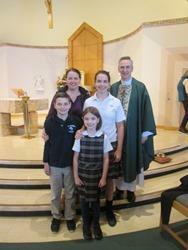 Our 8th Grader Maddie was announced the 2019 Outstanding Catholic School Graduate for St. Elizabeth School.